The HTC One should not have problems detecting or finding available WiFi networks in range. However, there are times when technology fails. 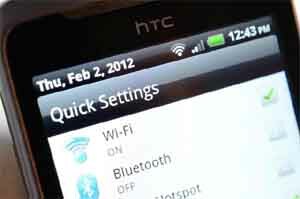 In fact, there were a few of our readers complaining about their problem finding their own network with the HTC One. While the problem is minor and could be solved by simple troubleshooting steps, every problem is different from the other. The following procedure may or may not work for you but it's worth a try. Step 2. To exclude the possibility of conflicts from 3rd party applications, please try restarting your phone by press and hold the "POWER" button > choose "Restart" in Phone options pop up window.